Private, custom fit yoga classes tailored to fit your specific needs for optimum heath of your body mind and soul. 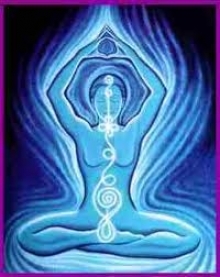 learn about the Chakra system, your energy body and how it can be used to help heal. Discover which psychological emotions, organs and glands are governed by each Chakra and learn yoga poses, affirmations, visualizations and breath work that will help clear each energy center. Learn to self assess, diagnose and heal while receiving the many physical benefits of a regular yoga practice. $25.00 per hour may add additional person for $5.00 per person.